I have been a huge fan of ionized water since the first week I began drinking the water three years ago. 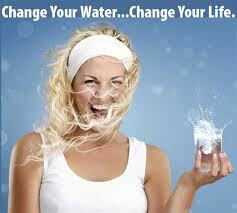 The water changed my life and I started selling electric water ionizers….a lot of them. When I retired in February 2010, I continued to research water and water ionizers and report my findings on this blog. I have written many times about the nasty behavior and the short sighted perspective of the owners of the electric water ionizer companies. Their greed and childish pranks have damaged their reputations and credibility of the entire industry. It has been incredibly frustrating for me to witness all the nonsense because these incredible machines should be in every home. Water ionizers should be a mainstream product just like a toaster or a coffee pot. Regardless of all the silly antics of the players, the real problem for the industry is that most people simply can’t afford to lay out $2,000 to $4,000 for a water ionizer. Those that can afford a machine are put off by the lack of real information available, or the disgraceful behavior of the players in the unregulated industry. The people running Vitev.com reduced the price of their Flo from $399 to $249 in July. The decrease in prices is due to two factors: 1) Vitev has recovered the high cost of the molds and has chosen to reduce the price accordingly instead of keeping the price high like the other companies in the industry……2) the volume of sales have increased over time to the point where the company is getting better prices from its suppliers due to volume purchases. I only have one thing to say about this….BRAVO VITEV! We witnessed the price of water ionizer drop from $4,000 to $2000 when the Tyent’s and Life Ionizer’s and others jumped into the game five or six years ago. Over time, a few models of electric water ionizer dropped their prices below $2,000 but the lower prices didn’t really have a significant effect on demand because the lower prices were still too high for most people. In fact, electric water ionizer sales are frightenly slow these according to everyone I talk to. I expect that the sales of electric water ionizers will continue to decrease as more and more people become aware of the newer and lower priced technology. The Vitev people seem to have a grasp on what it takes to bring water ionizers into the mainstream. They have addressed the affordability issue and it appears they are also pursuing broader channels of distribution than the electric water ionizer companies. It’s about time somebody did it! I have been considering buying one for my mothers house since i keep my electrical ionizer at my own apartment. Of course this price drop is just what i have been waiting for. As we all know an electric ionizer is not exactly portable and wallet friendly. Also the price drop seems to be from $429 to $329, so it does still cost a little bit more than you list above. Taking a look on the european/german alkastream site i see that the price is still listed as €300. I hope this gets dropped accordingly. Lastly i am still a bit disappointed at the high price for replacement filters ($129) which is almost double the cost of electrical ionizer filter replacements. However i do realise that this filter removes more contaminates than other electrical ionizer filters and only requires 1 filter change rather than 2. I agree that the lower price is great news. The Alkastream people in the States dropped their prices, but I wouldn’t assume lower prices will happen right away in other countries. The USA is a big market which may be able support sales volumes that may not be attainable as quickly in other countries. I know the Alkastream people always intended to lower the selling price to $299 when they achieved larger production runs. I know the Alkastream people made a lot of changes to improve their filter, so the price increase doesn’t surprise me. Their filter is a true filter, so I can understand why it costs as much as it does. I have opened up Tyent filters in the past, and there is no comparison between the filters as the Alkastream filters is superior by light years. I know that Alkastream was selling their replacement filters at a price really close to their cost to try and make them as affordable as possible. The relationship between the old filter price price ($99) and the unit price ($399) never made sense to me, because the actual filter inside the unit is such a big part of the unit. The equation makes more sense now. How do I get a replacement filter and how much are they? I just went online and found that you can buy them in the USA at http://www.alkastream.us or in Canada at http://www.alkastream.ca. Hi Rob, I just thought you should know, Life Ionizers has been in the US since 1996… not 3 or 4 years ago. Is it better to invest in the H2 machines or the natural ionizer? Thanks for a great account of th ionizer industries and its products. I have learnt more in the last half hour than in the last few days searching the web for ionisers. Anyway, I came to the conclusion that a natural ionizer would suit my needs. We are a family of four and have the fortune to have a spring coming directly from the rainforest. So contaminants are not the issue for us, how about ecoli bacteria? Will they be eliminated? Our main objective is to increase the ph of our water which is around 7, maintaining the minerals already in the water. Also we have relatively low pressure, as the water is gravity fed, approx. 8 meters head. The water is also not clean, in a sense, that it has some silt when it arrives in our holding tank, more after heavy rain. Can you please put some of your expertise to my situation in finding the right unit? Thanks for your great work and input. However, regarding natural ionizers, the main difference for me is that natural ones only increase the PH. Now, I want a ionizer also for skin treatment and to sanitise food, fridges as well as replacing cleaning products. How can I achieve that apart from an expensive electric ionizer?